Friday, Samsung had to settle for a split of two rulings coming from the U.S Federal Appeals Court in relation to the pair of preliminary injunctions that Judge Lucy Koh had imposed last week on the Samsung GALAXY Tab 10.1 and the Samsung GALAXY Nexus. It was the latter that has won as much as a two-week reprieve as the Appellate Court reviews the lower court ruling on the handset. The order from Judge Koh that forced Google to remove the phone from the Google Play Store, said that the model had infringed on Apple's unified search patent. As we told you, a software update is supposedly heading for the phone which will remove the offending functionality. The ruling from the U.S. Federal Appeals Court on the Samsung GALAXY Tab 10.1 upheld Judge Koh's injunction on the tablet. Samsung's attorney's unsuccessfully asked the court for a stay on the injunction, but they will have to settle for the split. Considiering that the Samsung GALAXY Nexus is still a top-selling handset while the Samsung GALAXY Tab 10.1 has been replaced with the Samsung GALAXY Tab 2 (10.1) sequel, one could argue that the Samsung legal team did its job. Samsung and Apple have been going at in courtroom battles covering 10 countries. The Samsung GALAXY Tab 10.1 has been at the heart of many of the overseas legal fights which resulted in Samsung offering a redesigned tablet called the Samsung GALAXY 10.1N in some of those countries. The Korean based firm, which just announced that they will report second quarter operating profits of $5.9 billion thanks to their smartphone division, has been accused by Apple of "slavishly" copying the design of the Apple iPhone and Apple iPad in its Samsung Galaxy line. 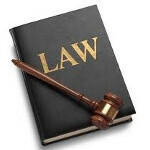 The case involving the Samsung GALAXY Tab 10.1 is in U.S. District Court, Northern District of California as Apple Inc v. Samsung Electronics Co Ltd et al, 11-1846. The Samsung Galaxy Nexus case is in the same court and is case No. 2012-0630. I officially hate apple even more than i did previously. Shame, poor galaxy tab 10.1 Apple apple apple. Why Apple? Don't hate Apple too much. The tablet sales ban won't have much impact on Sammy as a replacement model (that doesn't infringe) is either shipping or about to ship. The big win for Sammy was getting the stay of the sales ban on the G-Nexus. With the stay, sales can continue and Google and Sammy can test the work-around to make sure it truly works. Then if the stay is lifted, the work-around gets dropped in place, Sammy and Google give Apple the iMiddle-fingered wave and life goes on. I just dont understand how these patients work in US. I've used both ipads and tabs my coworkers are using, and can definitely see the differences other than 'looking alike' If the 'looks' are patient-able, that’s just wrong in the field of electric devices. That belongs to fashion businesses. i think you mean patent bro. there is an article i've read that before apple announced the ipad, samsung has the galaxy tab 10.1 ready with a design that looks like the original galaxy tab. but when the ipad2 came out, they re-design the tab in no time and voila, thinner bezel et al. thus the reason why samsung has been facing infringement. well this is according to the article. 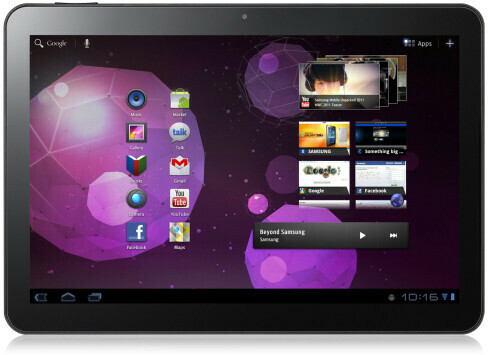 i've been searching for the photos of the supposed galaxy tab 10.1 pre ipad2 to see if it's true but no luck. maybe you can find it. Yeah, you gotta protect valuable innovation like thinner bezels. No one could ever have come up with that if not for Apple. You forgot the bouncing scroll function. ;-) And slide to unlock. And most important, the organization of icons in a grid. hell, no.. it's the brown toast shape of rectangle with rounded corners and flat surface.. no one could've come up with that.. not even the bakers from two centuries ago..
hello u... slide to unlock is not apple patent itself... they copied the idea from neonade which made the slide to unlock... and now apple has to pay some chinese company for copying their idea for personal assistant(siri)... so better u shut up..
the same reason that you typed "hoops" instead of "oops" and "sily" instead of "silly"
Must not be running Jellybean with improved auto correct! LOL I love your picture. Who said that Apple wasn't in the fashion business? Well the news for the Nexus is encouraging. The Tab 10.1 is expected. While I'd never consider buying an apple product ever again, I do admit that, were one to hold both the Tab and ipad blindfolded they are almost indistinguishable, unless one can feel the home button on the ipad or can tell the difference in the 4:3 dimensions versus those of the 10.1 Tab. Thankfully the Nexus and GS3 are more unique designs, though they lack a tangible identity like a Sony Xperia S or the Nokia N9 and Lumia series. My hope is that all the courts tell apple to STFU and void their vague patents, and that they must offer licensing deals before wasting taxpayers' money in the courts, something that other companies (Nokia most notably) already do without a court order. In essence, play nice and share it be put in the corner. Ty US court system for doing the right thing. No, they didn't patent a rectangle. It's a rectangle with rounded edges! Just wait until Apple tries to block ultrabooks because Apple patented the wedge-shaped notebook computer...! yes, and we'll see that wedges sellers getting sued for that.. oh, and also bakers for making rectangular with rounded corners and flat surface breads..
Like what HTC said, it is disappointing to see Apple bringing the competition into the court room rather than making real products to compete.. I agree that the shape and feel of the Tab is quite similar and may be mistaken for the iPad.. but the Nexus injunction? Why can't the just be honest and say that there is no way the iPhone 4S can compete with that and they are afraid of losing their precious fans? cmon apple.. must you be that LOW to compete?